In the past, a veneer required the shaving down of the natural teeth and anesthesia. 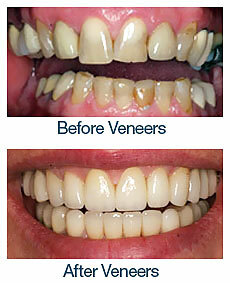 And veneers placed this way were irreversible. New developments in dentistry have made the porcelain used for veneers strong enough to be made wafer-thin and there is no need for shaving down your natural teeth. Minimal-prep dental veneers can give you a brighter and more youthful smile without removing any healthy enamel through tooth shaving. Minimal-prep veneers are ultra-thin porcelain veneers created to adhere directly to the front of your teeth. This means some people can have the smile of their dreams without even shaving down much of their natural teeth structure. And if you ever want the veneers removed, your natural smile will still be intact. After talking with you about your objectives for your smile, Dr. Christensen will take low-dose digital X-rays of your smile and give you an oral exam. Then he’ll take impressions of your teeth to create study models in order to determine exactly how to achieve the most natural look that matches your personality, appearance and dental goals. Next, Dr. Christensen uses special guides to help you select the shade and shape of your new teeth. 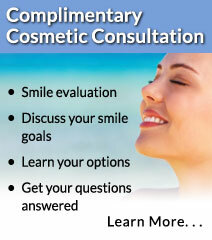 There are many different “looks” your new veneers can give your smile. Like a Hollywood smile, for example. That is a look that is straight with white square teeth. Or he can give you a look that matches your natural teeth. When Dr. Christensen needs to match your veneer (or a crown) to adjacent natural teeth, an option he offers is custom shade matching. A natural tooth is not one shade all the way through, and Dr. Christensen works with an expert from our private lab to color map your natural tooth so that your veneer will match. We have custom facilities with leading-edge capabilities, so you can rest assured that the color will be matched exactly. Dr. Christensen normally recommends porcelain veneers due to their greater durability and stain resistance. However, if porcelain veneers are out of your price range, an affordable alternative is dental laser bonding. This involves using a very thin coat of tooth-colored composite resin that’s bonded onto the front of your teeth by laser in order to smooth out imperfections. However, while less expensive, cosmetic bonding isn’t as stain resistant or as strong as a veneer. "The doctors are caring, patient and of course talented, skillful, and experienced in what they do.